I speak four languages and I regularly switch between them on my digital devices (all from Apple). When I bought my MacBook Pro years ago, I got it with the French keyboard. (That’s an option here in Canada, with its two official languages.) That keyboard makes it easier to write in Spanish and Italian as well. Since then, Apple has added features that make this keyboard unnecessary (though I still have the habit of using keys like “é”). “Newer” tools (some dating back to 2010 or earlier) make switching languages on Apple devices easier than it’s ever been. All these tools are built into macOS and iOS, and they suffice for me. (I’ll show you the iOS tools in a future blog post – stay tuned.) If they don’t suit you, or you use Windows or another operating system, you may need to look for other applications. Just hold down a letter that might have punctuation (like accents or umlauts) and those options appear above the letter. You can press the number under the choice you want or move back and forth between the options using the left and right arrow keys – or just click the letter you want. When I press the fn key on my keyboard twice, I can speak to the Mac and have the Mac turn my words into text. If I want the Mac to recognize my words when I speak other languages, I need to switch the language. 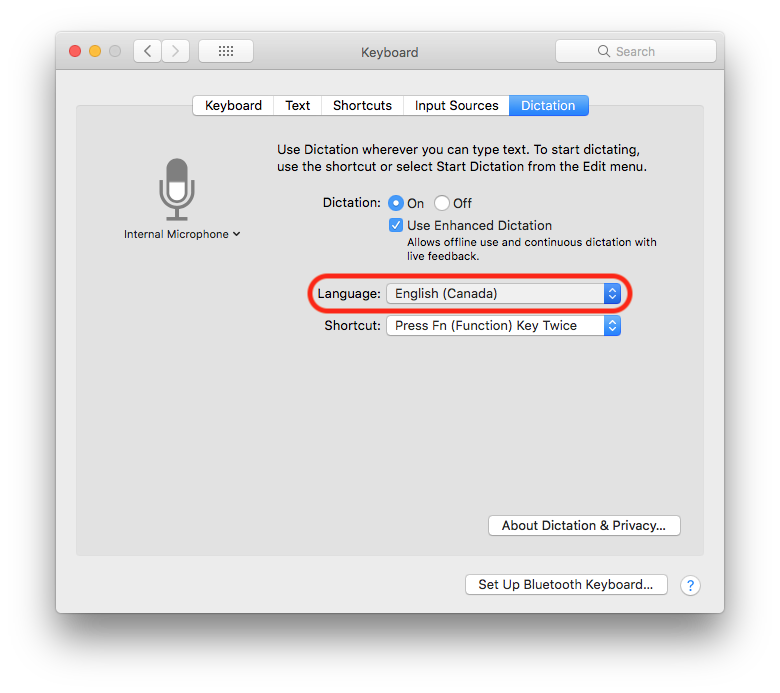 To get other languages for dictation, I downloaded them from the Keyboard System Preferences panel under the Dictation tab in the Language drop list. When I want to have onscreen text read to me, I select the text and hit a keyboard shortcut. While having, say, French text read back in an English accent may sound funny, it doesn’t make the experience productive. 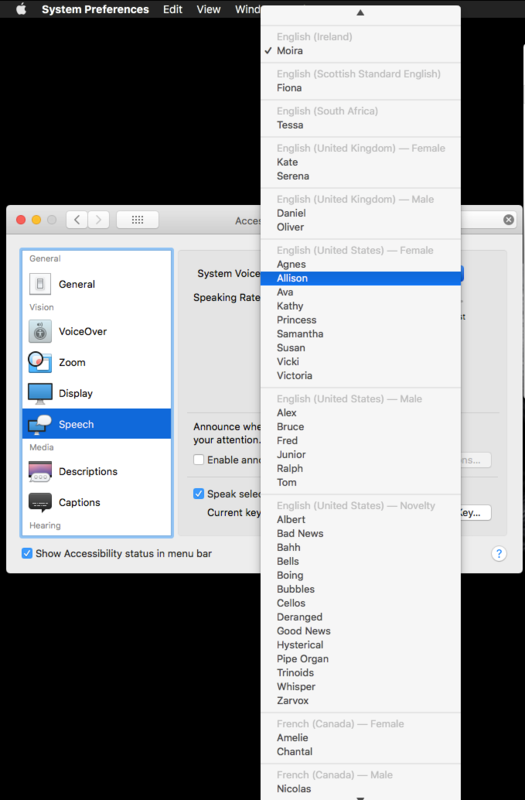 That’s why I pick the right “reading language” in the Accessibility System Preferences panel, under Speech before I have the Mac read any text. I’ll tell you more about the iOS devices in a future post. Do any other polyglots have tips to share when it comes to switching languages on a computer? Tell me about them in the comments below.